iSupport tracks all the information that a help desk/service desk provider needs to manage the full lifecycle of services and operations, maintaining the relationships between all services and assets and any related incidents, problems, known errors, and changes. Use iSupport’s Problem Management functionality to track the process of troubleshooting an underlying issue until a resolution is discovered. Incidents can be linked to one Problem record and when the problem is resolved, all of the associated incidents are also resolved. Known errors can be published to support representatives on the iSupport Desktop and to service receivers on mySupport. 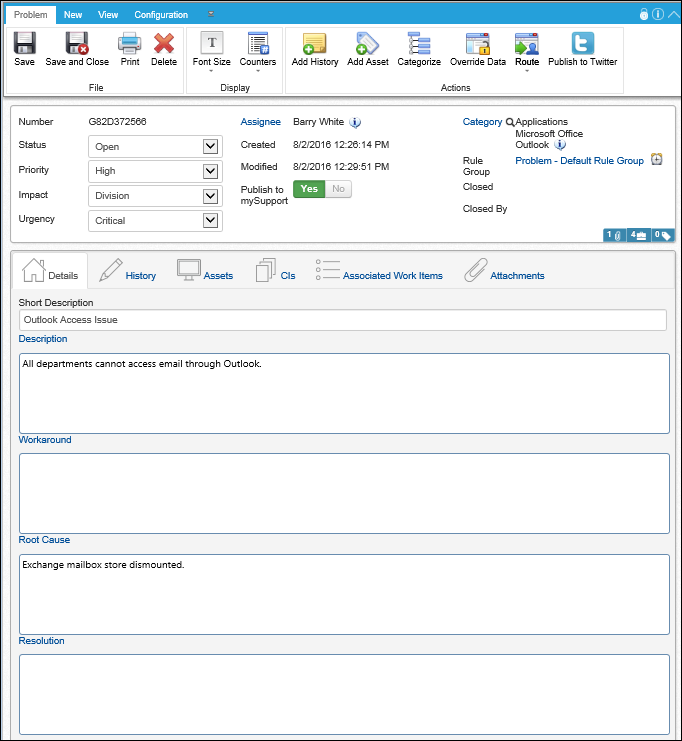 iSupport’s Change Management functionality ensures that calls as simple as a request for additional access to those requiring an entire department to be moved can be tracked from start to finish. Frequent requests with similar content can be automated for efficient resolution, and approvals and notifications ensure communication between all involved. 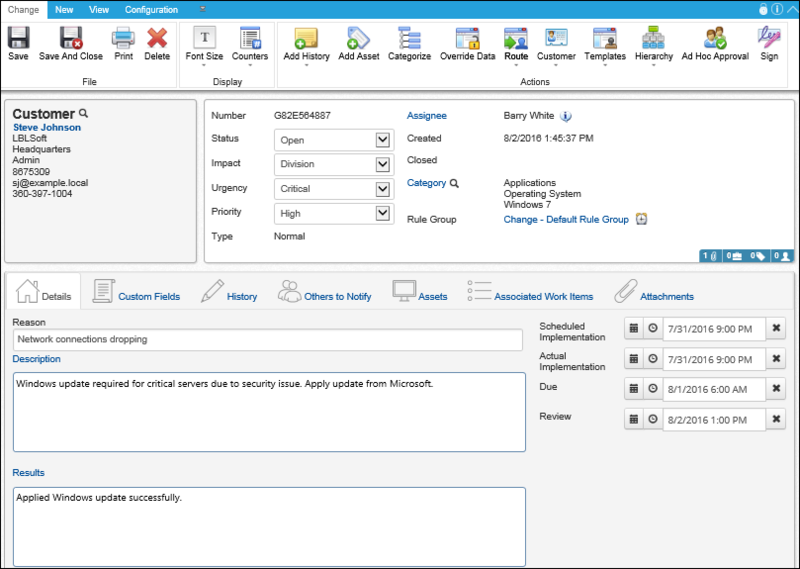 Use iSupport’s Configuration Management Database (CMDB) functionality to display, report on, and send correspondence regarding the assets, services, and other resources that are crucial to your organization’s operation and the relationships between those items. 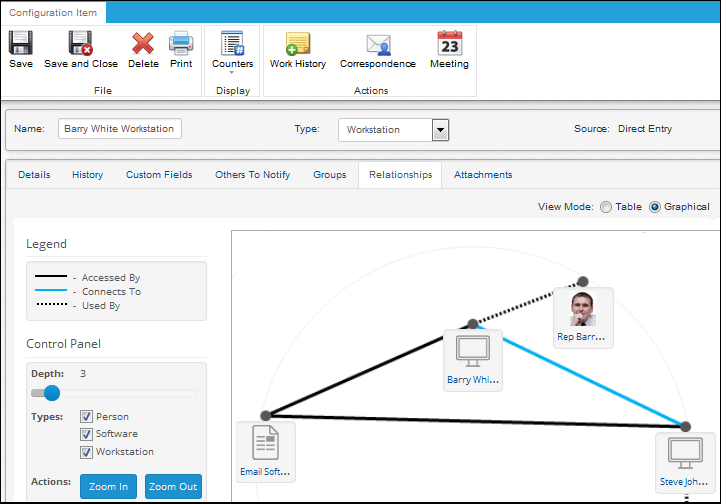 These items and their relationships are graphically displayed so you can immediately answer questions about events – planned or unplanned – that may impact aspects of your company’s IT operations.